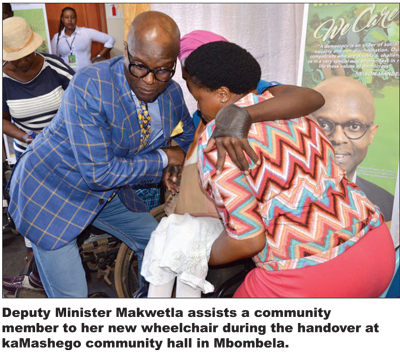 Msogwaba local commuters living with disability took home brand new wheels on Friday, 15 March 2019 when the Deputy Minister Thabang Makwetla handed over a donation of 58 wheelchairs in the kaMashego community hall. Mr Makwetla said although DCS is not responsible for social development, as government it should be relevant to the problems of poverty and general needs of society. Disability is one of the seven focus areas identified by the South African Human Rights Commission towards promoting, protecting, and monitoring the realisation of Human Rights in South Africa. People with disabilities constitute 5.1% of the South African population aged 5 years and older. Timothy Khoza (91) is a community member at Msogwaba. His right lower leg was amputated because of high blood pressure complications. He used crutches for seven years before his shoulders gave up on him because of his age. He got his old wheelchair at a local hospital five years ago but was delighted to receive a new one that will guarantee his mobility for longer. 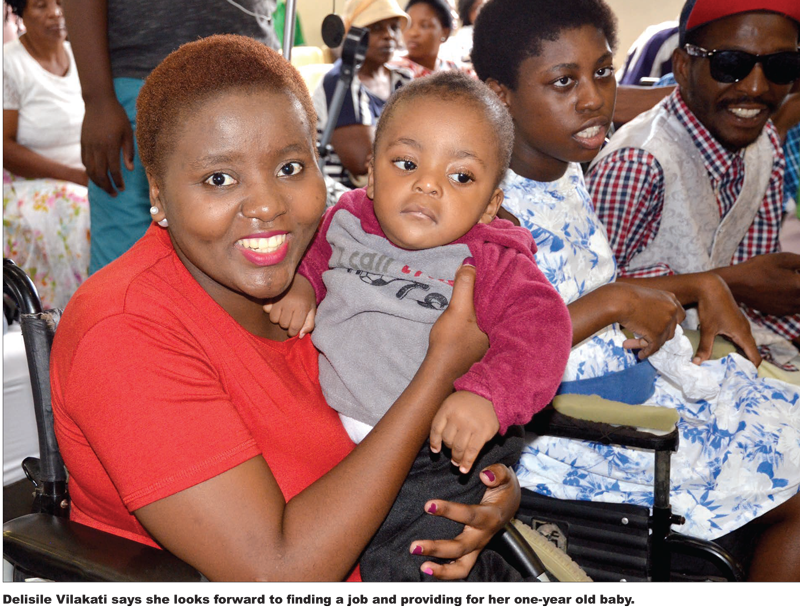 Delisile Vilakati (26) said her wheelchair was worn out and she needed a new one. Vilakazi fell sick and couldn’t walk anymore. She said she was grateful to be alive and was looking forward to getting a job and working towards providing for her one-year old baby boy. 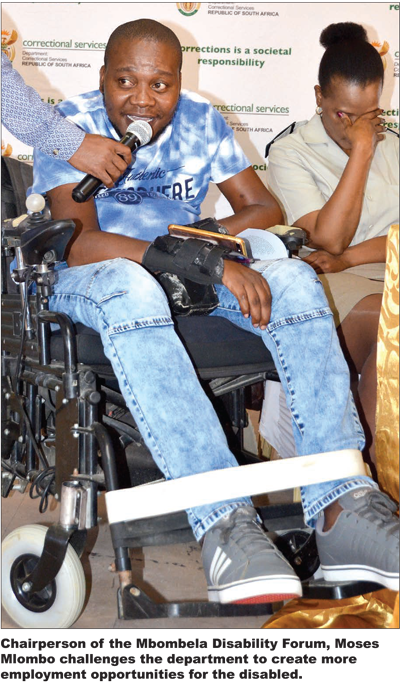 The chairperson of the Mbombela Disability Forum, Moses Mlombo thanked the department for its initiative and challenged it to do more by providing more employment opportunities for the disabled. He said wheelchairs are not a luxury but a need to make sure that disabled persons are able to move around. Deputy Minister Makwetla encouraged the community to work closely with the department to solve the problems of crime. He said the department is not succeeding with reintegration because of communities that reject offenders. “We release offenders with the belief that they have been transformed and rehabilitated. They come out equipped with skills to help them become constructive citizens and members of local communities,” he said. The department has established 30 Community Corrections service points in Mbombela and has 324 parolees and probationers involved in community work in the district. It has also facilitated restorative justice processes with 634 victims and 140 offenders in the local communities for the 2018/19 financial year. The wheelchair project started in 2013 and about 2 000 wheelchairs have since then been donated to the needy. The wheelchairs are donated by the Hillsong Church in Australia.